Bir Ouna is located in Beit Jala, a predominately Christian town in the Bethlehem Governorate, just 10 km south of Jerusalem. The Valley is also home to two Salesian monasteries and a convent school that service the local Christian community. If the wall route goes ahead as planned it will separate 58 Christian families from their land in the Cremisan valley. 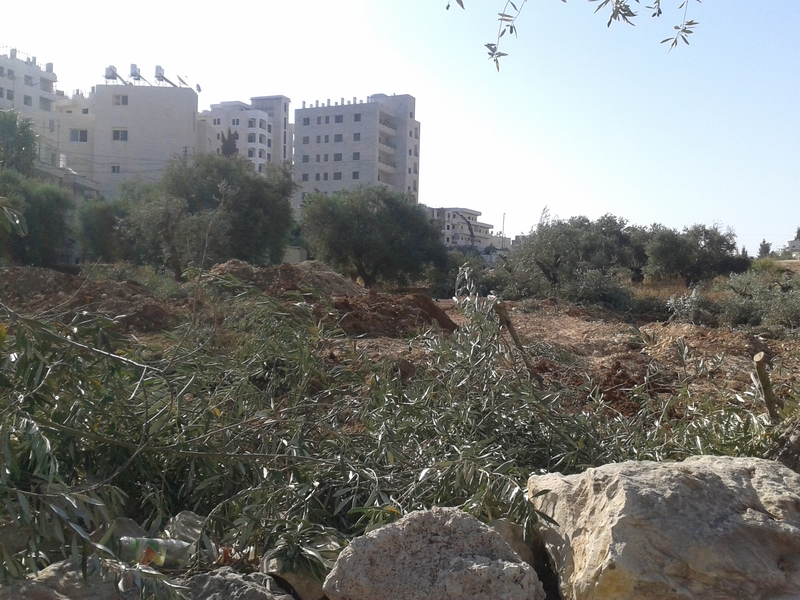 The town of Beit Jala is known for it refined olive oil and now the community has lost more than half its olive trees to the building of the wall. The loss of this essential source of livelihood could have a devastating economic impact on this community. 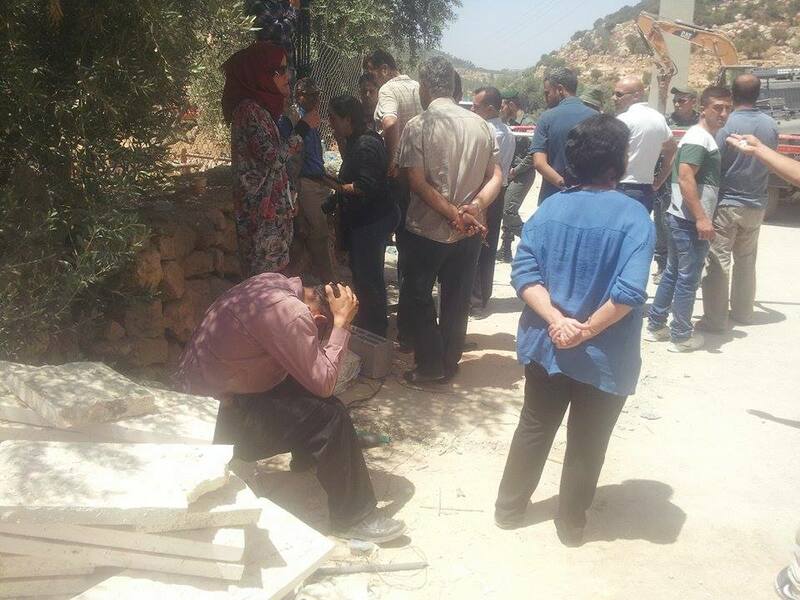 Since Tuesday 18 August, the community of Beit Jala has been organizing daily prayers to protest this illegal confiscation of their land and pray for the protection of their olive trees and their land. Churches from across the world have now united with this community in prayer. 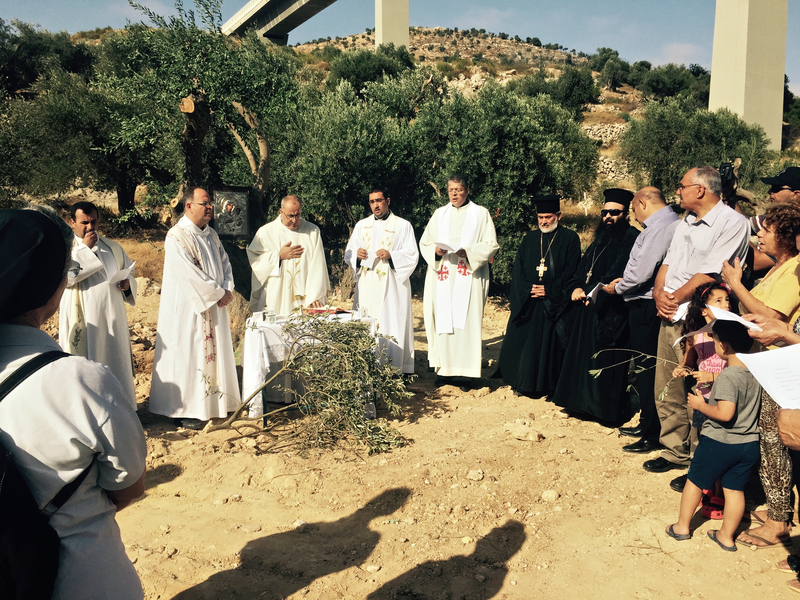 Since August 18, EAs have joined the community in their daily prayer for the protection of the olive trees and the land.The prayer was led by Orthodox and Roman Catholic priests from the Cremisan monastery whose land will be affected by the expansion of the separation barrier. 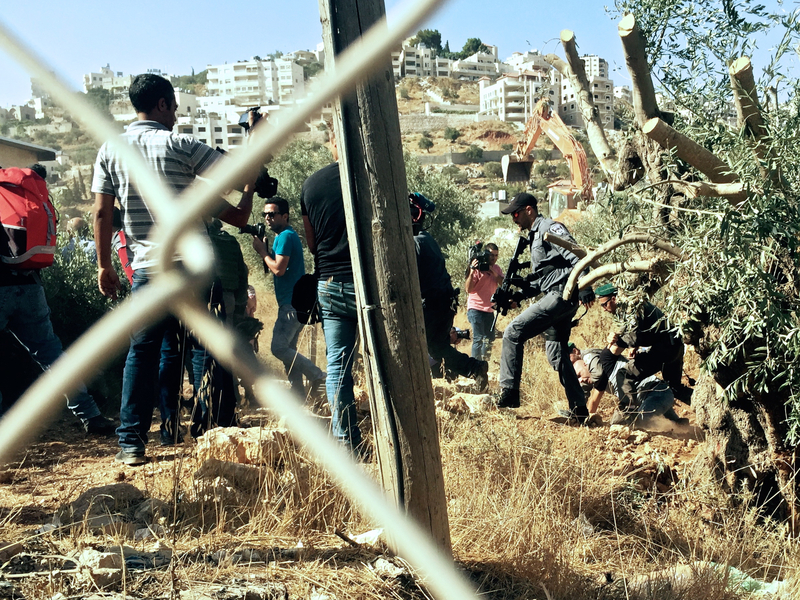 We observed that during the mass, Israeli soldiers and security personnel continued to supervise the destruction of this ancient olive grove. 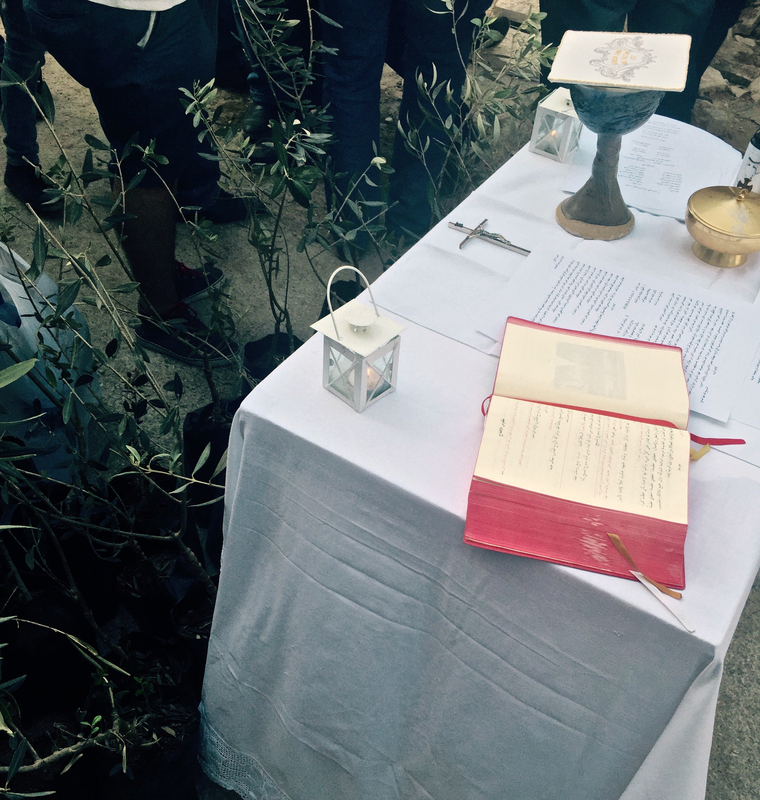 On August 19, the mass was unable to take place within the olive grove as Israeli soldiers prohibited access to the land. They said that it was a ‘working area’ and that the mass was ‘an illegal gathering’ as no permission had been granted. As locals continued to be denied access to their land and saw more and more of their trees being destroyed, tensions began to rise. Soldiers eventually rushed the crowd, resulting in a number of injuries. 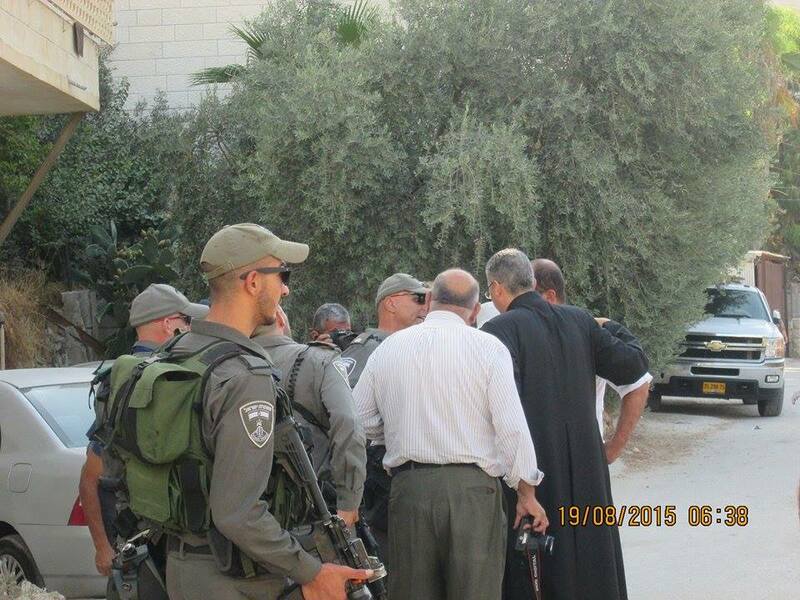 Over the course of the morning, two Palestinian men were detained. EAs witness similar scenes at the prayer on Tuesday morning. Locals, many of whom own the confiscated land, lay on the ground to prevent the bulldozers from accessing the area. 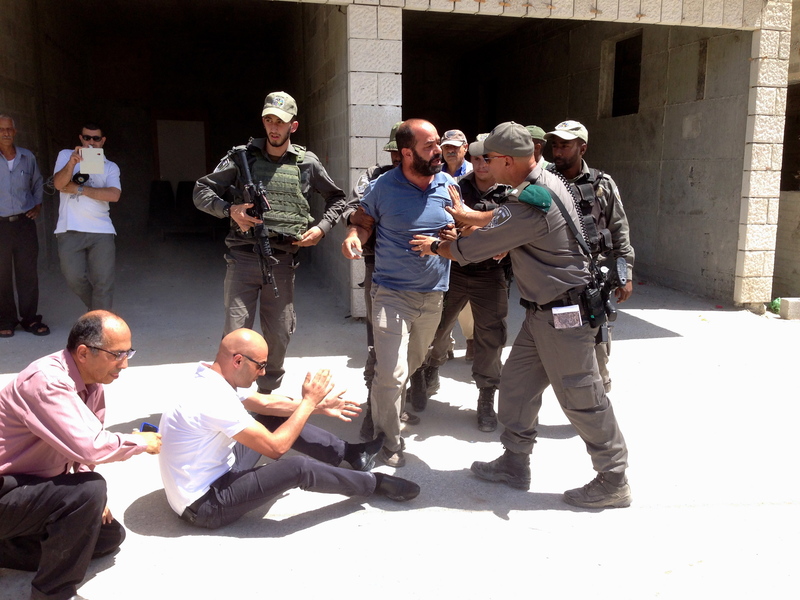 They were forcibly removed by Israeli security personnel. 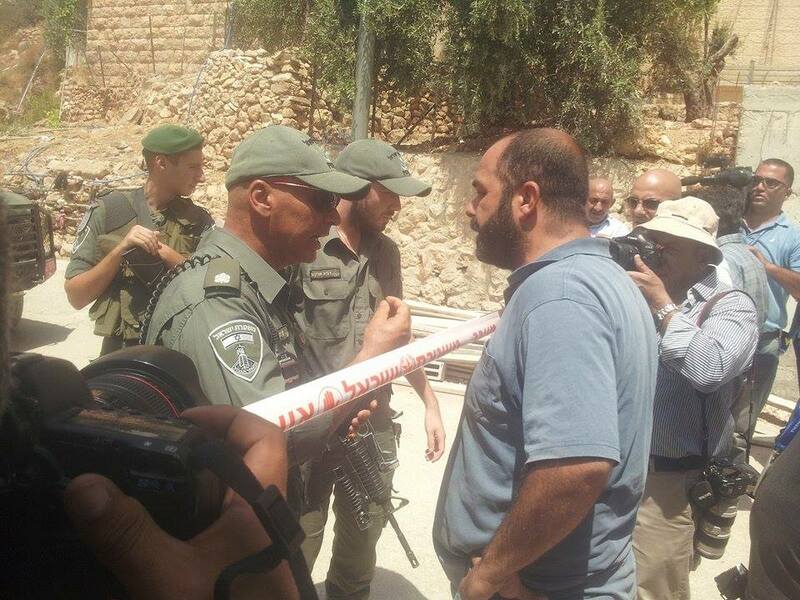 Significantly, the Cremisan Valley is bordered by the illegal Israeli settlements of Gilo and Har Gilo. Built on Beit Jala land, these illegal settlements are among the fastest growing Israeli settlements. If the planned wall route goes ahead it will enable the joining of these two settlements thereby disconnecting occupied East Jerusalem from Bethlehem. A move which would effectively separate the northern West Bank from its South. 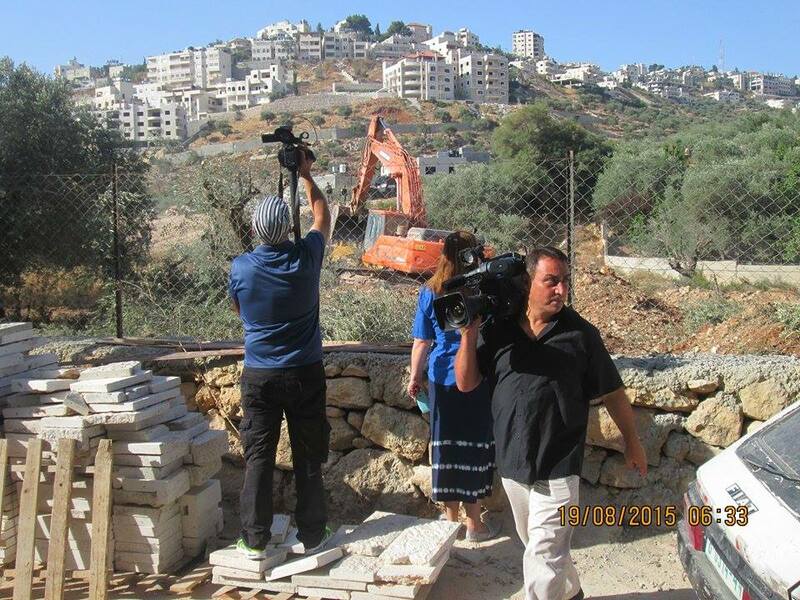 The local community has long struggled against the building of the wall on their land. When the Israeli courts ruled on 2 April, that the wall should be rerouted to lessen the effects on local communities and the monasteries, many were hopeful. 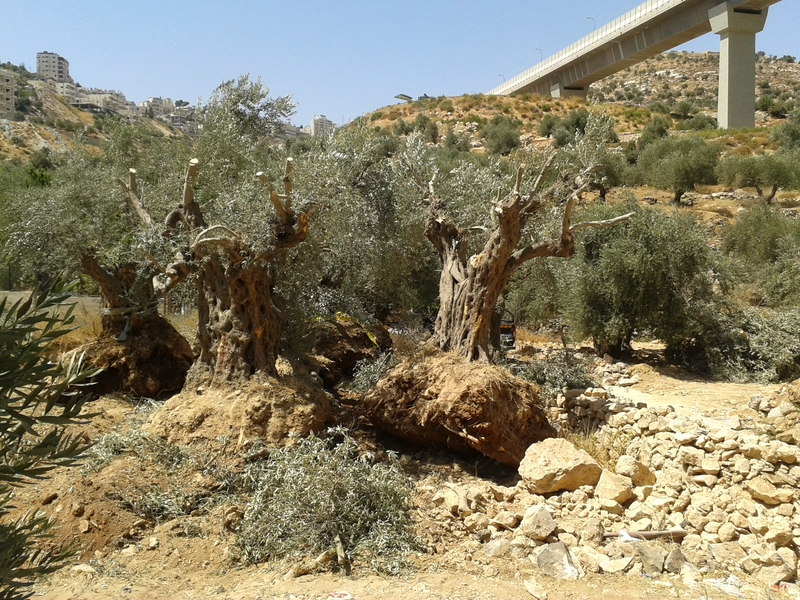 But the Israeli Defense Ministry has effectively ignored this ruling and now this ancient olive grove lies in ruin. 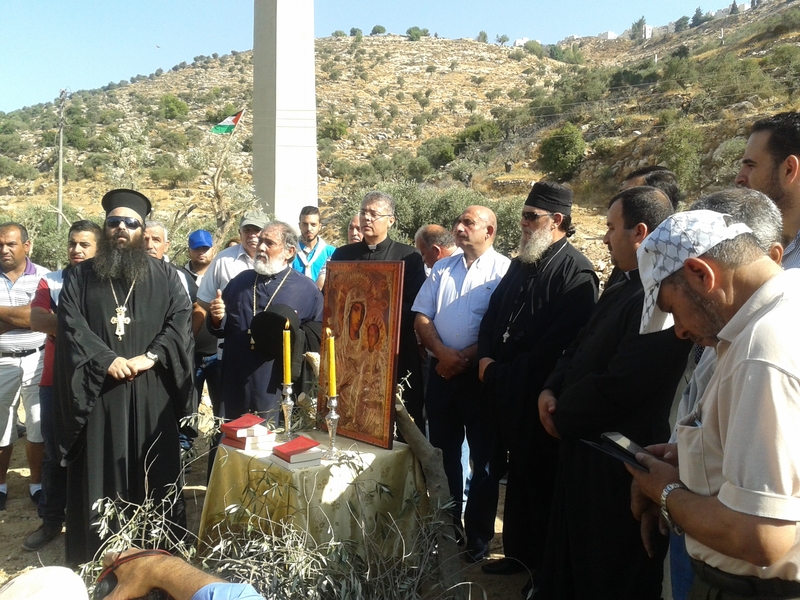 Please support the residents of Beit Jala’s call for prayer and action to prevent the building of the separation wall through the Cremisan Valley. Click on the box below to learn what you can do. 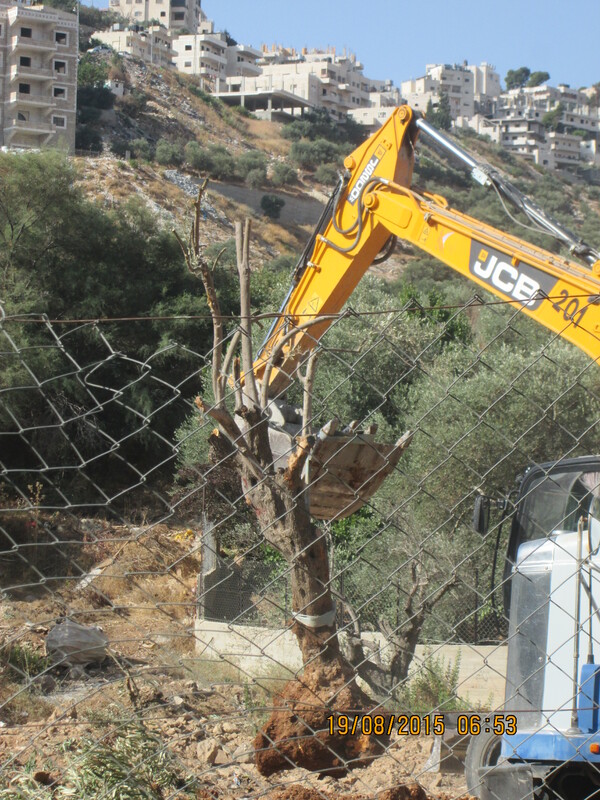 This entry was posted in Demolitions & evictions, Freedom of movement, Land confiscation, Palestinian Christians, Protective Presence, Uncategorized, Violence and tagged #CremisanValley, access, bethlehem, Cremisan, demolitions, displacement, freedom of movement, israel, israeli military, jerusalem, land confiscation, olive harvest, Palestine, palestinian christians, settlements, southern west bank, week of prayer for christian unity, west bank by EAPPI. Bookmark the permalink.